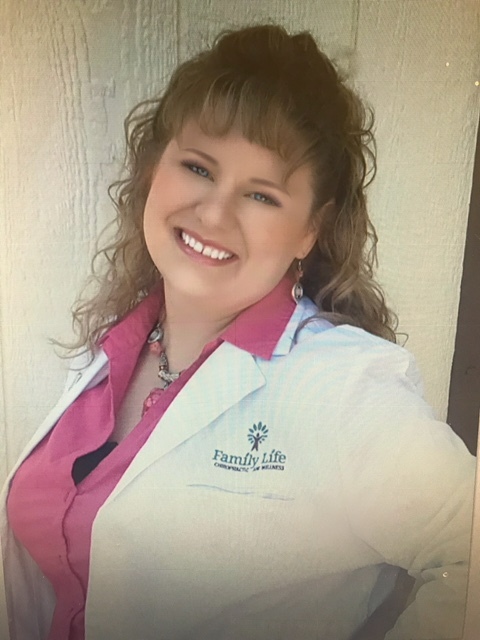 Dr. Kristina Gibbons, D.C. earned her doctorate at Cleveland Chiropractic College, Kansas City. She has practiced in both the Kansas City metro area as well as Franklin County for over 9 years. Her emphasis is in upper and lower extremities including plantar fasciitis, shoulder injuries, sciatica, TMJ, carpal tunnel syndrome and concussion care but has a full range of techniques to help with a wide variety of health and wellness concerns. Her wellness centered philosophy includes nutritional counseling that starts in the refrigerator while offering an excellent variety of high-quality supplements to help with vitamin deficiencies and weight management. 1. Why/how did you become a chiropractor, and how long have you been practicing? In the summer of 1999, I was rear-ended by a semi-tractor trailer and pushed into another car. I was forced to deal with a tremendous amount of health issues which caused me to begin failing my college classes. As a last ditch effort, I sought help from a chiropractor. This chiropractor not only helped me with my health, he inspired me to do the same for others. It was from that point that I dedicated myself to the study of Chiropractic and natural healing. I have been practicing and sharing my story now for over 10 years. 2. Have there been, or are there any other DCs (or DCs to be) in your family? I am a first generation college student. Neither my father nor my mother had a degree when I began to attend college. Due to the injuries sustained in my accident, I was advised that child-bearing may be difficult, if not impossible, so it is unlikely that I will ever have children to carry on the tradition. I would like to note, however, that I did encourage my mother to go back to school while I was attending Cleveland Chiropractic College, and she now has both her Bachelor’s Degree in Business and her MBA! She helps me quite a lot in my practice and it’s a joy to have someone help me who understands how much this profession changed my life. 3. What is your favorite thing about being a DC, or about chiropractic?